It’s 2018—time to take care of ourselves! 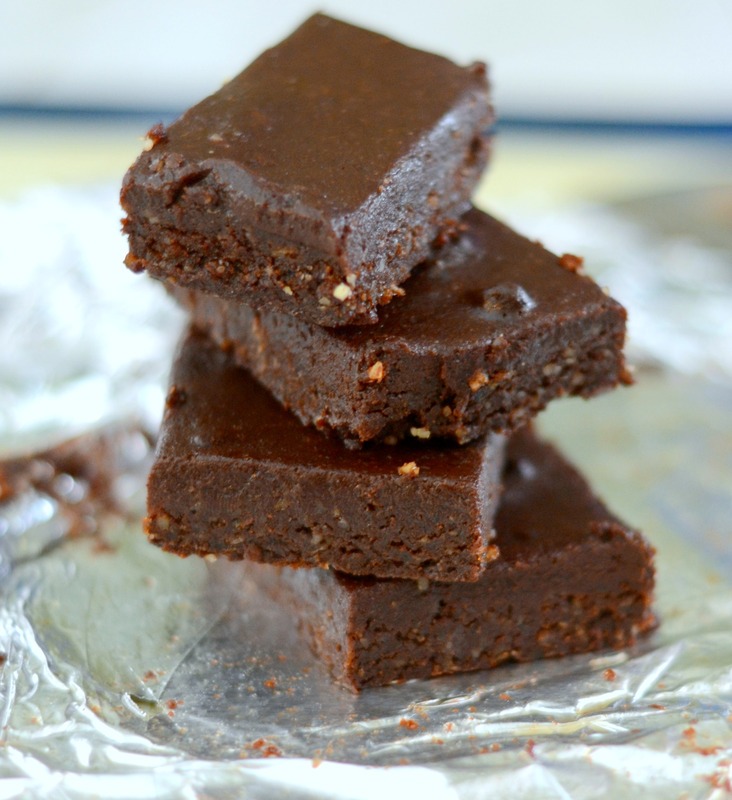 These raw brownies are a great way to start. They are vegan, gluten free, and refined sugar free! Are you just here for the recipes? Well, this is a good one. But before we get to it……. Hope you had a great time celebrating with friends and family. I have been spending the past few days nerding out with my passion planner, prepping for my Whole 30, and just hanging out at home with the kids. We binged watched the entire series of Parks and Recreation over break. It was kind of fun. ( I am struggling to decide if I am more of a Leslie or a Donna, although I love April too.) I have some big goals for 2018 and am trying to decide if the theme of my year should be, “The Year of Happy and Healthy” (a little boring and predictable) or “The Year of Big Changes”. Not sure yet…..maybe a combination of both of them. BUT, I am also trying to do something that challenges me a bit everyday. Little things like sending an email to a brand that I want to work with, trying a food that I don’t normally like, or even just smiling and gently laughing when my husband does something that would normally make me angry. What about you? Are you working on anything in particular this year? Anyway, back to the food. On Christmas Eve, I realized I didn’t have any sort of treat for Sawyer because he doesn’t eat refined sugar. I had made some amazing brownies with Kahlua Fudge Frosting for the rest of us (recipe coming up soon) but didn’t have anything for Sawyer. What is Christmas without something sweet? 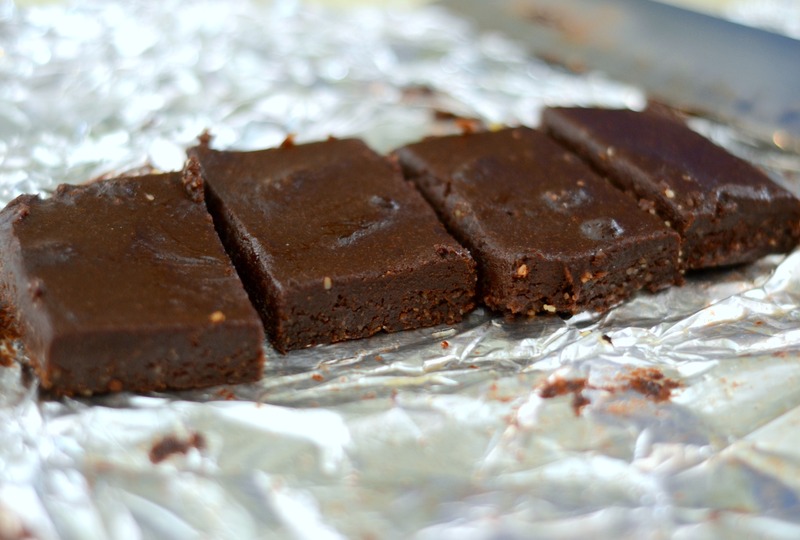 In a pinch, I made these vegan, raw and refined sugar free brownies. Honestly, I wasn’t really expecting much from these. 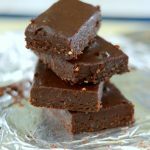 The recipe was similar to LaraBars, which are great BUT, not really the same as a brownie. I was so pleasantly surprised. These were amazing! I think it was the addition of the frosting really just kicked it up a level. 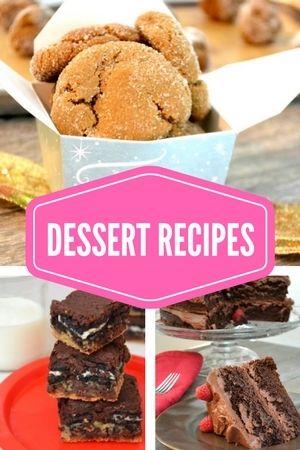 I am actually working on a few more recipes using the frosting recipe for these. It is really that good! I followed the recipe from Chocolate Covered Katie and modified it ever so slightly. I think next time I will make them a bit thicker with slightly more frosting. Like I said, that kicked it over the top! 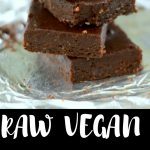 This recipe came from Chocolate Covered Katie and is perfect for those eating a vegan, gluten free, refined sugar free, or raw diet. Not to mention, they are really good! Prepare a pan by lining it with parchment or wax paper. I used an 8×8 baking dish but will try next time with a loaf pan, for thicker brownies. In a food processor, combine the dates, walnuts, cocoa powder, vanilla extract, water, and 1/4 teaspoon of the salt. Process until smooth, yet crumbly. Press the mixture evenly into the bottom of your prepared pan. Separately, whisk together the maple syrup, cocoa powder, and coconut oil. Pour over the “brownies” and spread evenly. Allow to rest in the refrigerator for at least two hours before cutting.